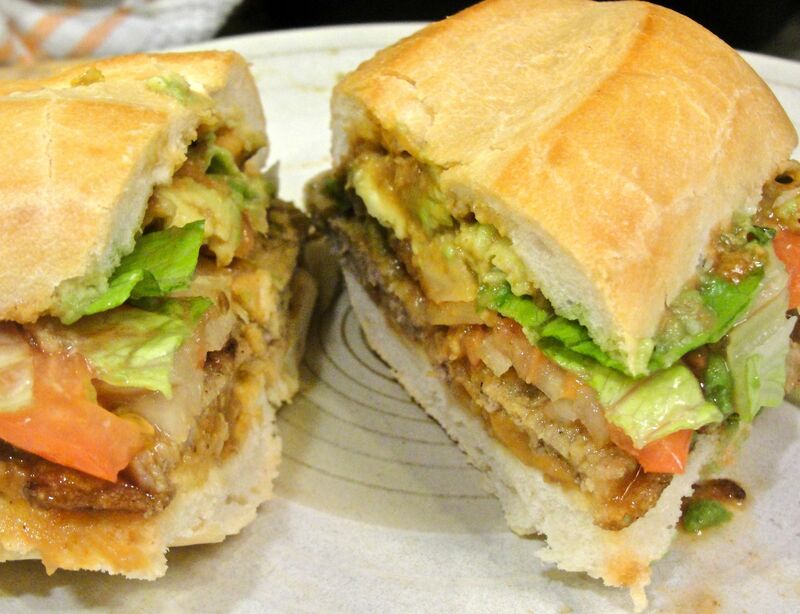 Tortas – Mexican sandwiches – are one of my favorite foods by which I commonly measure Mexican restaurants. The humble torta seems spretty simple, consisting of various taco and salad ingredients on a nice roll, but it’s definitely a skill to do it right. I’m preparing for a “Last Meal“-themed party in a couple weeks, so I thought I’d try making tortas myself as a potential candidate for the party. 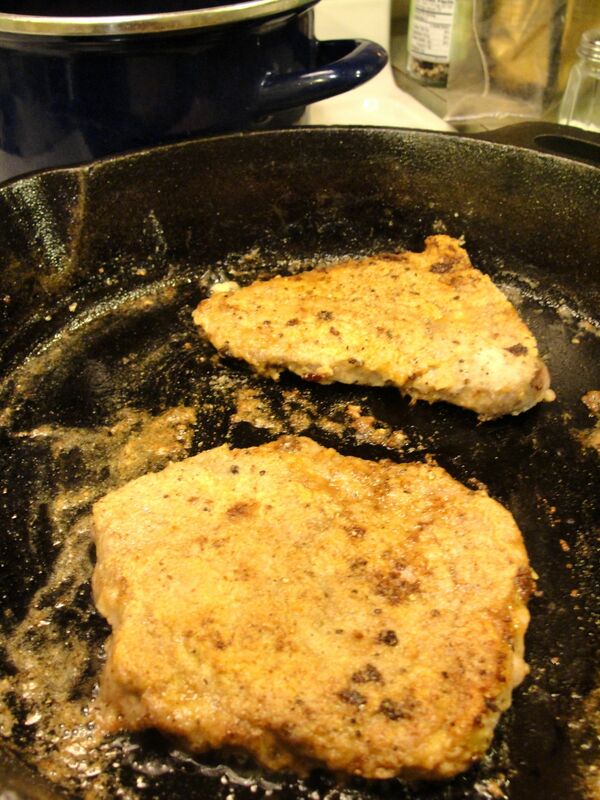 The one I made here is the common “Torta de Milanesa,” basically a Mexican breaded steak sandwich. 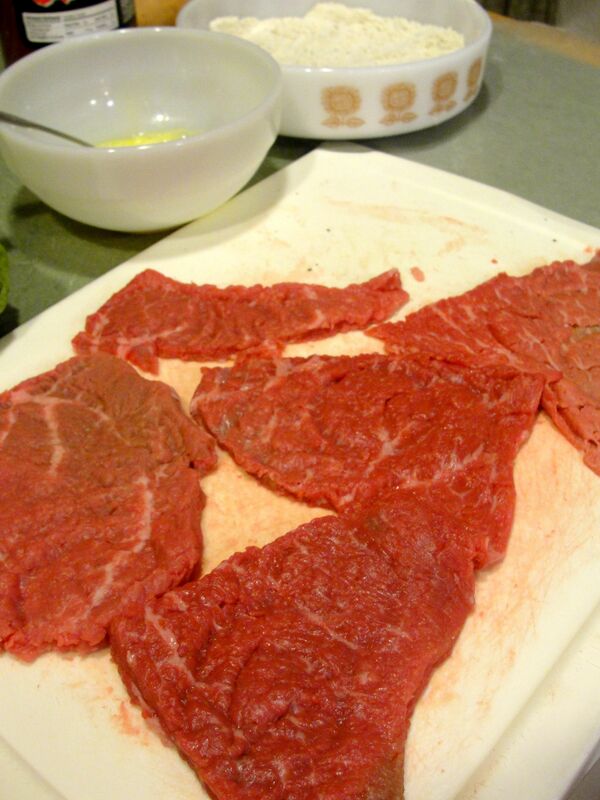 Trim the steak and pound the steak pieces to tenderize and flatten to about 1/4″ thick. Dip them in egg wash, and then in flour that is spiced generously with salt and pepper. 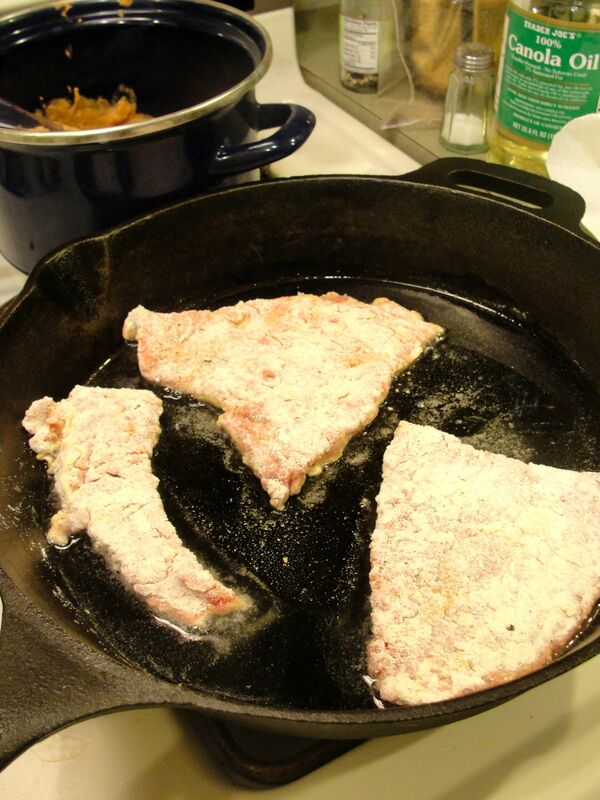 Pan fry the breaded cutlets in oil, a couple minutes per side until cooked through. To assemble the sandwich, slice the roll, e.g. a club roll, and consider removing some of the bready inside (to make room for ingredients, while making the sandwich still able to be easily managed in hand). 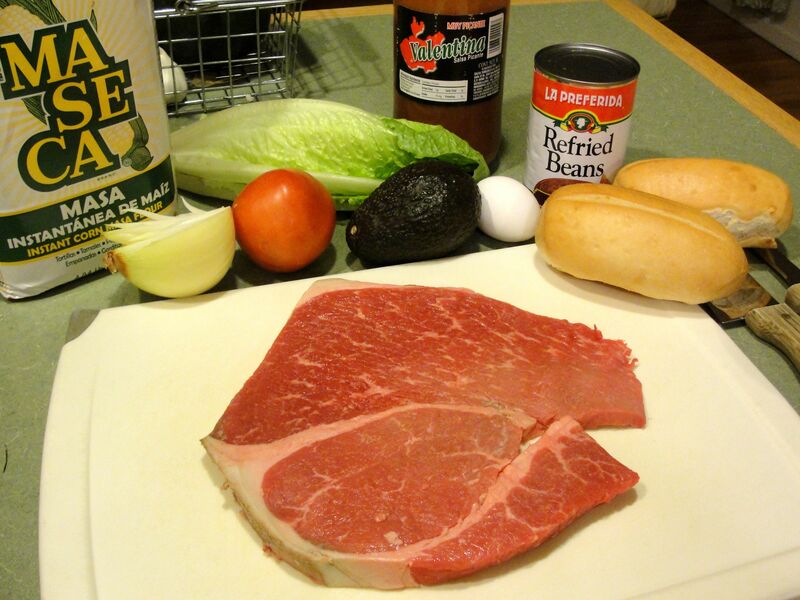 Then smear the roll with refriend beans, add the breaded steak, sliced raw onion, sliced tomato, chopped lettuce, avocado slices, and hot sauce. To be honest, this first attempt of mine was tasty, but no where near the best torta I’ve had. I have some adjustments to make to perfect it. The masa flour worked fine, but I would spice it even more generously. The meat really needs to be tenderized thoroughly, otherwise chopped for the sandwich so that it’s easy to bite through. The roll is a particularly difficult part… while it may be true that a crusty bread or roll is common, it makes it extremely messy to eat because the beans and avocado are squeezed out of the sandwich as you bite. The restaurant I most often visit uses a large, round soft roll, that doesn’t result in this problem. 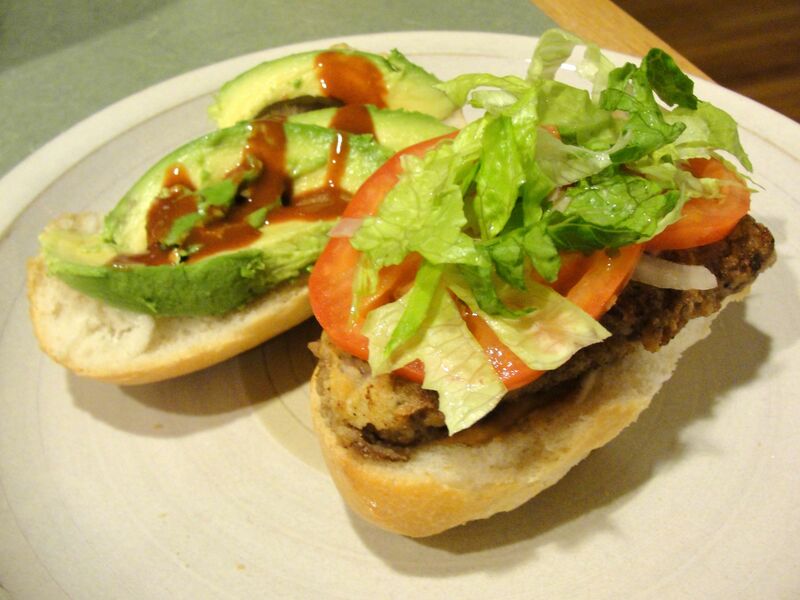 There are a lot of common torta variations such as vegetarian (avocado), pulled chicken, and chopped steak. Enjoy this favorite of mine sometime at a restaurant or at home! I haven’t eaten a torta since I was last in Mexico. They don’t make them like they make them in Mexico. That looks so good. Have to make.